I've got the boat fever, and Im bringing the boss around to the idea, but not exactly sure what I want. I'm not a fishing purist, so I need something versatile enough to bass fish occasionally, but run juglines out of too. Ive got a 16/50 Xpress but looking to upsize some to an 18 foot or bigger. I like the Xpress boats but I have also seen a couple of the Tracker aluminum boats that I like. What is your ideal rig? Post pics if youve got 'em. Boom! Took the words out of my mouth. Nice, and if all I did was chase them green fish, I think I would have a Skeeter. 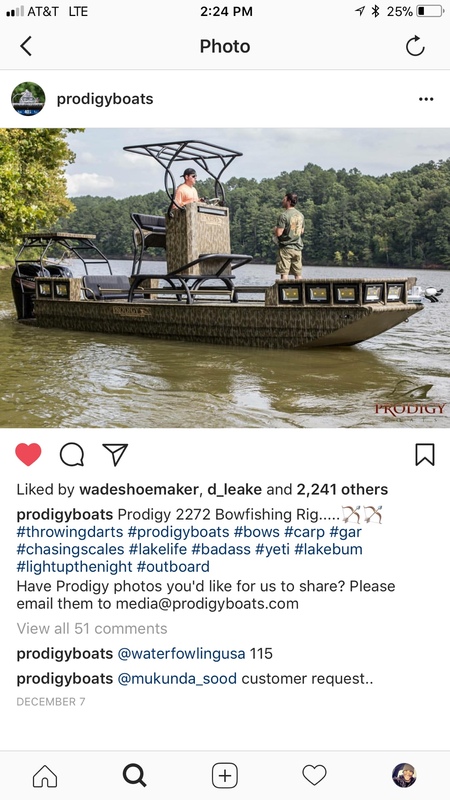 Just would feel bad cutting shad in such a nice rig. Not sure about brand, but I've always wanted a 18' aluminum all weld with a 60-90horse on the back. I've had bigger and smaller but always felt this was the boat I really would like to own. Simple and useful, low to no frills. A nice 15-16 ft aluminum boat with a 25 or so tiller outboard! Boat will be tangerine orange and grey. I have though about this a lot, as you can tell. Two happiest day's of my life. the day I bought a boat and the day I sold it. Ranger RT188. Very stable, shallow draft, all aluminum. You can get it without carpet if you like but I use one of those filet boars for cutting up shad. I owned a tracker before I bought the ranger and I will not EVER buy another tracker. Some have good luck with them but I didn't. I love the Ranger. Plenty of well laid out storage space.I can't get pictures to load but I could text them to you. The reason they call it a B.O.A.T is because it’s an acronym for “break out another thousand”. Supra the wife is never to happy when i take it fishing and drew the line with a firm H**L no when i said i could use it to get to some of the corp land to deer hunt so I'm sure she wouldn't be for running lines with it either. Bullet 21XRS with a DBR 300xs. Look at the Excel 183 or 203. Aluminum center console boat that would be a versatile boat for all around use. Another would be the Ranger rp190. I went back to my roots of bass fishing and picked up a Nitro Z19. If I hadn't I was leaning towards the two above. X2. Stay away from the tracker. 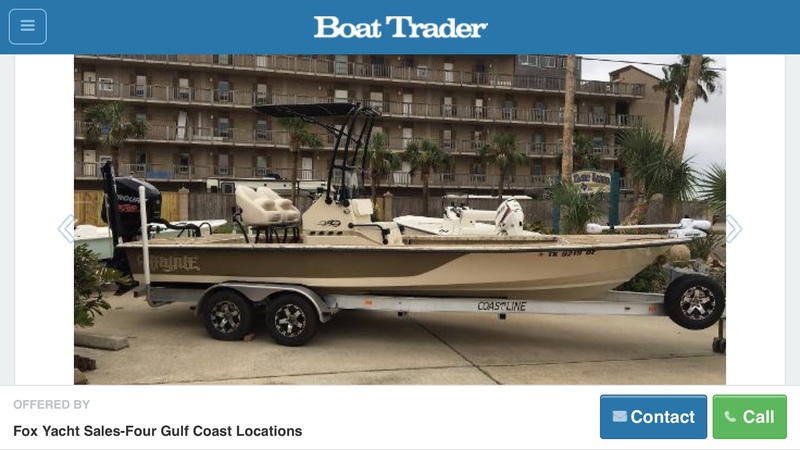 16' Xpress duck boat with Hydra lift hull 50 Yam. with tiller steering trolling motor. Open floor with rod/gun box. I like to trotline but can also pole fish. X2 except for the discontinued Avalanche. The last aluminum boat ever built by Tracker that was worth a crap. Full 1/8" thick molded hull aluminum that is nearly indestructible and all high end hardware with good carpet. Too bad they never made it with a center console and rated for 200hp. Thank the lord they are outlawed on Lake Kiowa as are lake fleas during certain hours. Reminds me of what the Old Man on Pawn Stars calls them. " big hole in the water that you throw money into"
I don't have a need for 2 motors. But this is a very versatile boat. If I ever have 40K I'll buy it lol. I had an 18 xpress with a 90 it was a starter boat. I ran it from duck hunts to the surf. Jug lines to boat docks. But, it was rough,wet maxed out at 4 people and wet. I upgraded with a 214 nautic star with a 150. I'm VERY happy. I've added a power pole and ipilot. IMO the perfect boat doesn't exist. A man needs at least two. I would have. 23 cat of some sort with a Yamaha. Poles, t-top ans some tunes. That would take care of the lake and bay. The one we have now, its perfect! Contentment is where its at!!! I have a Laguna 22' with 150HP Verado. GPS trolling motor makes it even better! I want this so bad, but I don't need it at all. Just an FYI for all those saying "my buddies boat". My buddies get one shot on my boat. They don't help out pitch in, in some way, never again.... Keep that in mind while you are saying "yours"
There's a reason I was on my buddies 52 foot Hatteras every Marlin tournament. Just because I won't own one doesn't mean I won't pull my weight when the time comes physically and monetarily. You might be a little light on that 40k. Quackerbox nailed it. A man needs more than one! And your type is welcome aboard any day. I have had so many people show up on the boats I have owned and ride along, not offer a thing and leave. That is the last time they are invited! That's what I thought too. I priced it out with a 150hp and tunnel. He was telling me depending on my options 35-40. Tracker marine owns about 70% of the boats made today. May not say tracker on it but they are likely built by them. That boat has 25k in engines and controls.